Dublin Ohio based Harris Search Associates has appointed Dr. Gary Insch as Dean of the College of Business and Innovation at the University of Toledo. Dr. Gary Insch has been selected dean of The University of Toledo College of Business and Innovation. Insch joins UT from West Virginia University, where he served as associate dean for graduate programs and associate professor of management. His first day will be Monday, July 14. Insch has spent the past dozen years with West Virginia University, having joined the college as an assistant professor in 2002. 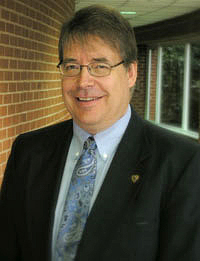 He served as director of MBA programs and director of graduate programs before his promotion to associate dean in 2011. He also has served on the faculty of Boston University and Indiana University. Insch’s academic focus is on international entrepreneurship, small business planning, foreign direct investment and industrial purchasing. His industry experience includes eight years as assistant vice president and commercial loan officer for First Security Bank of Utah in Salt Lake City. He also served as general manager/business manager of Actors’ Repertory Theater Ensemble in Provo, Utah, and a financial consultant with the Small Business Development Center in Salt Lake City. He is a member of the Academy of International Business, Academy of Management and Strategic Management Society.Insch has a bachelor’s degree in finance from Brigham Young University, an MBA in international business and marketing from the University of Utah, a master’s degree in business administration from Indiana University, and a PhD in international business and strategy from Indiana University.